VoIP is proving to be a money saver in business in many ways. Businesses rely on good telecommunication services for various tasks and traditional telephone systems raise the cost of telecommunication recklessly. Telecom VoIP is emerging as the future of telephony. VoIP uses local area network and internet connection to work. Even small businesses have started to realize the importance of VoIP for their businesses. Not only it cuts the cost of calls but also the need for regular telephone line technician gets vanished by the introduction of VoIP. Advancements in technology and large consumer base are proving beneficial for VoIP companies. It is expected that by 2020 VoIP services will touch a subscriber base of 348.5 billion. Today demand of VoIP services has increased many folds. According to a business survey, businesses save big by switching to VoIP services, this switch helps businesses to save 30 percent on their phone bills. VoIP is proving to be a great money saver for businesses. Businesses save money by adopting VoIP because of its many benefits. VoIP requires less equipment and the installment is fast. Therefore, the turnaround time is low. You can get back to your work in no time. Softphones can use VoIP and you don’t have to worry about the new equipment cost. Calling from one part of the world to another was never easier. VoIP provides low- cost international calling facility. This way you save huge money on dealing with international clients. One of the many handy features of VoIP is its mobility. When you are moving your business from one city to another, you don’t need to worry about the installation cost of new wiring. VoIP phones provide flexibility in the sense that you can move your phone with you and you don’t need to pay to serviceman. VoIP saves the bandwidth by filling silent spaces with data, whereas traditional phone lines keep sending data during silence. It is to be considered that 50 percent of all voice conversation is silent data. 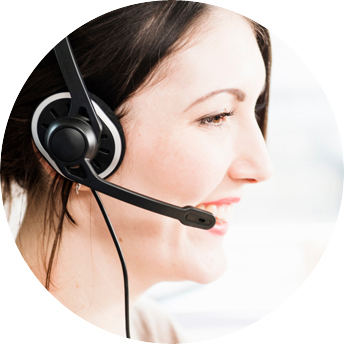 VoIP phones are easy to maintain, you just install it and forget about it, It’s that simple! With the cloud feature, technical difficulties and crashes are easily taken care of. It saves you additional wear and tears costs. VoIP phone companies offer various services which suit the needs of any business, be it small or large.